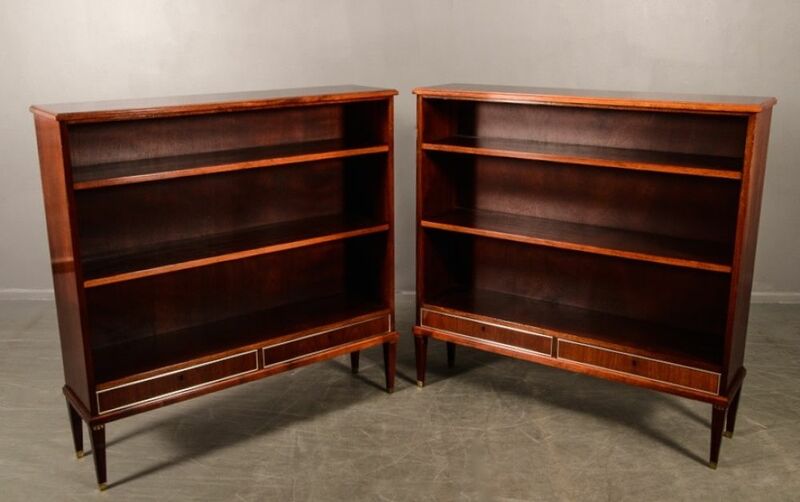 It is unusual to find a pair of pieces of furniture. 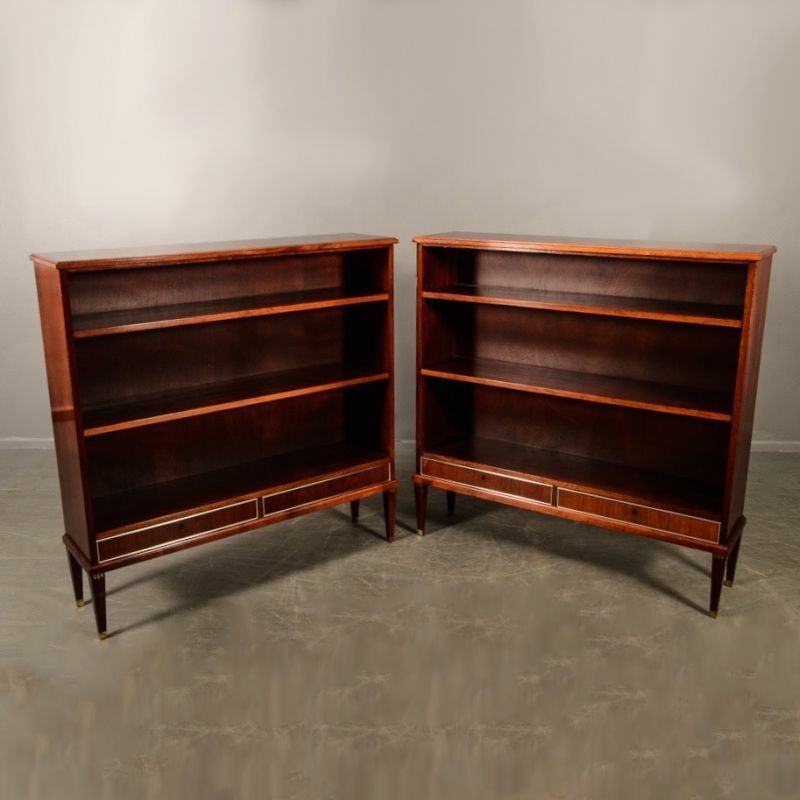 These elegant bookcases were designed and made in Denmark, and would suit a room, placed either side of a fireplace, for example. 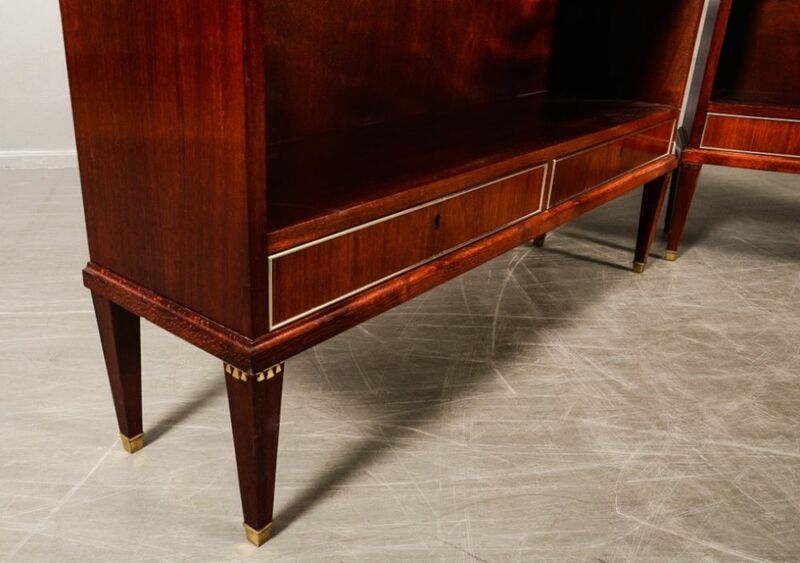 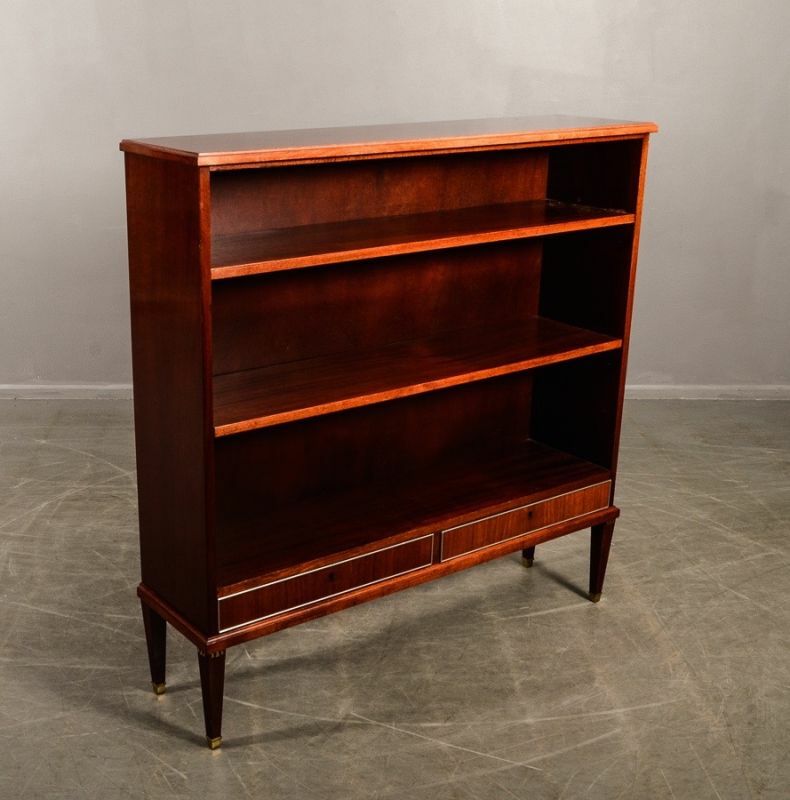 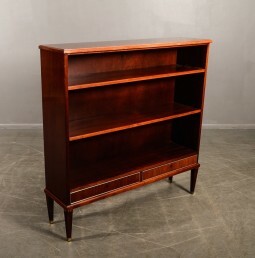 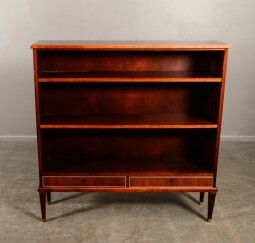 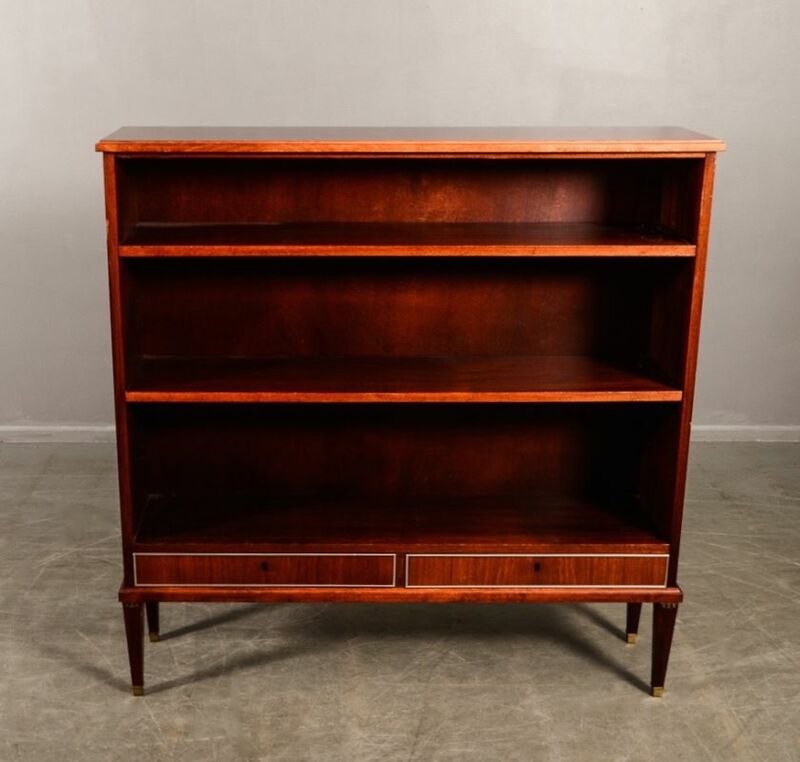 The bookcases are constructed in mahogany, and feature brass detailing. They have adjustable shelves and drawers. 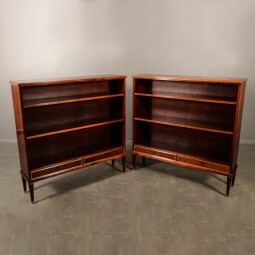 I would say they were made in the 50s. They are in good general condition, with a few knocks and scuffs condusive to their age. 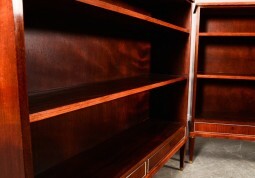 Two keys are supplied. The measurements are 122 cm wide, 30 cm deep and 120 cm high.